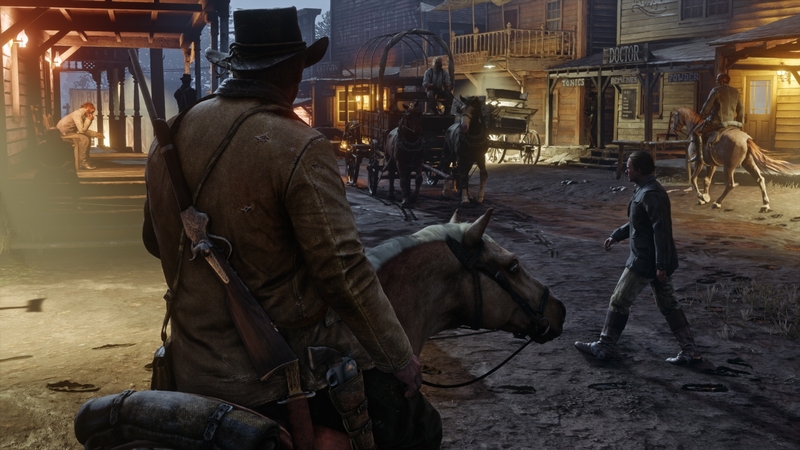 ‘Red Dead Redemption 2’ makes the Wild West of 'Westworld' look like child's play. Rockstar Games finally released a new trailer for Red Dead Redemption 2, the sequel to the video game series that applies the developer’s Grand Theft Auto mold to the Wild West. Here, things get even more dark, violent — and, yes, wild — with a brutal cowboy grit that would make the Hosts of Westworld quake in their little robot boots. Finally, we get a look at the game’s narrative. Fans of the original game might remember that the previous protagonist John Marston eventually joined and then left the Van der Linde gang, aka Dutch’s Gang. Dutch himself looks noticeably younger, which more or less confirms that this is actually a prequel to the first game. The Wild West is back. The trailer brings with it stunning visuals of an open landscape remarkably different from the claustrophobic, chaotic cities of Rockstar’s Grand Theft Auto series. Though GTA remains Rockstar’s flagship franchise, the first Red Dead Redemption received a 95 out of 100 on Metacritic, which translates to “universal acclaim” in the gaming world. Red Dead Redemption 2 has some mighty big cowboy boots to fill, and so far it’s looking like it’ll do a righteous job of delivering another great adventure. Red Dead Redemption 2 will be released sometime in spring 2018.